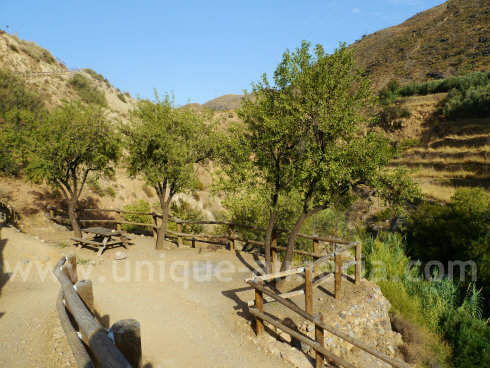 The Andarax River in Las Alpujaras: "Las Canales"
Padules is absolutely unique and it has become our favorite place to escape on hot August days. Click on any image to view the slide show and enlarged photos! 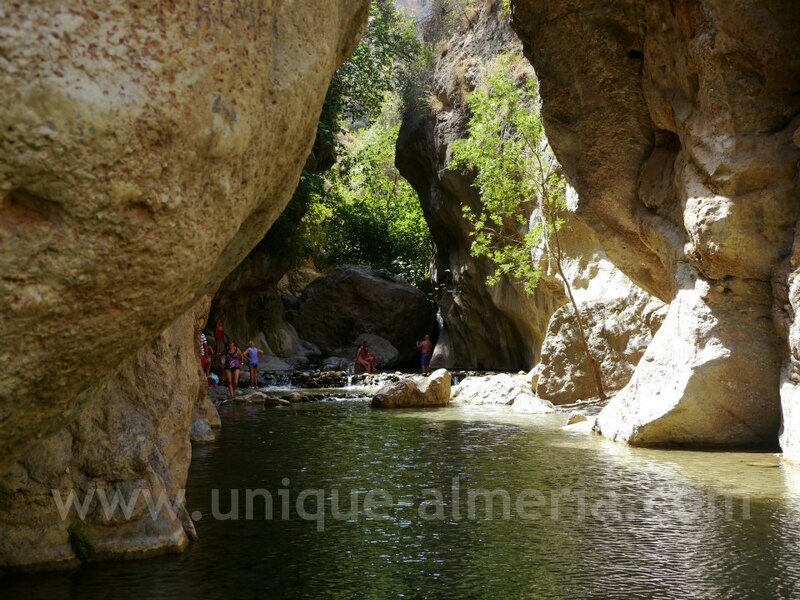 When everyone is heading to the beaches to cool off, we hide in the shadow of huge rocks, between which the Andarax River flows on its way through the Alpujarra of Almeria. Again, I am giving away one of our secret hideaways. Fortunately, this Province is huge and we will explore more places. So now that it is out, hurry, before everyone else discovers this piece of paradise! 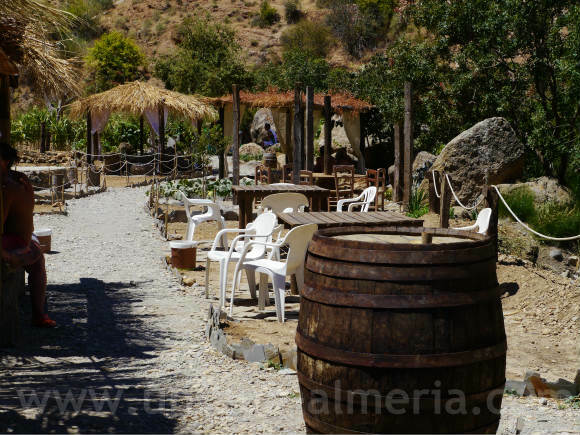 This little gem is nestled in the heart of the Alpujarra, located in the region of Andarax, in the western part of the province of Almeria. Surrounded by deep gorges it is the only village in the area through which the main road does not cross. This makes it a quiet and charming little hamlet. Hanging from one of the gullies you will find the winery Paco Ferre, where you can taste the house wine on their terrace and buy local products. 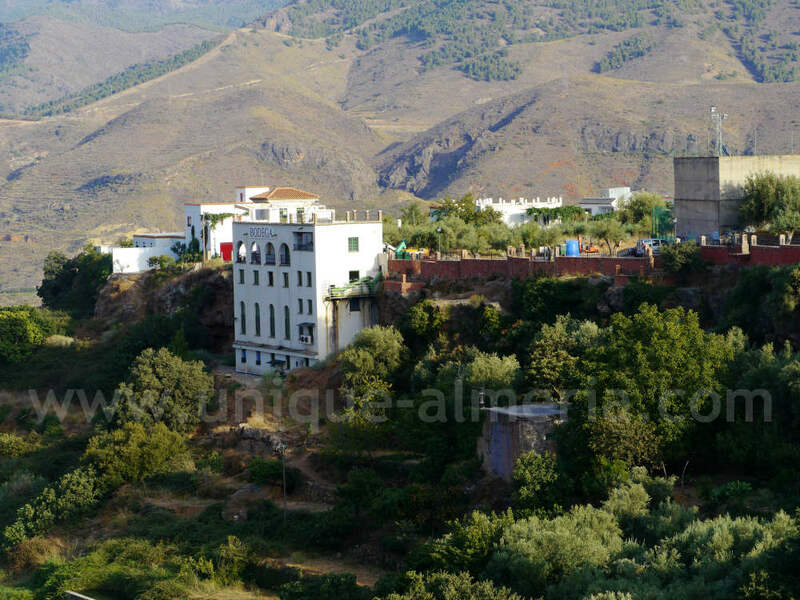 Between its white houses you will immediately spot the main church of Mudejar style built in the sixteenth century. 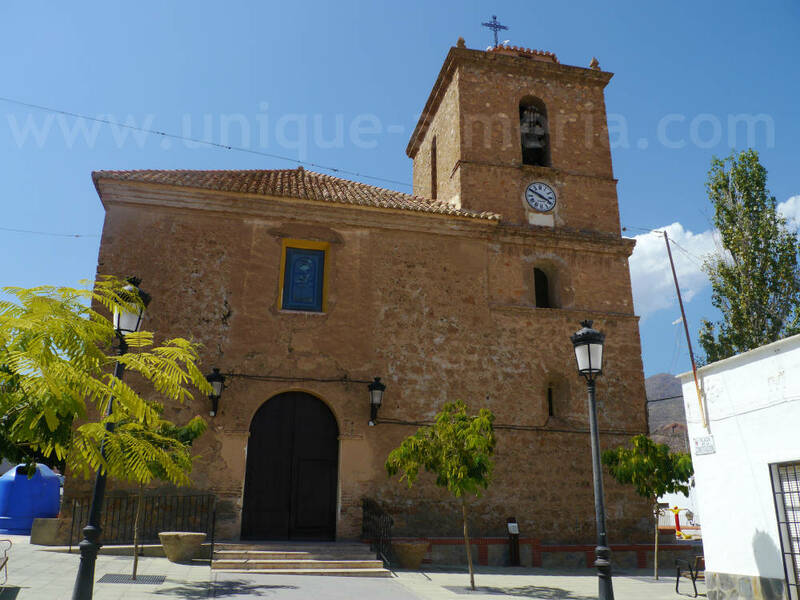 This Parish Church namely "Santa Maria la Mayor" was destroyed and burned in 1568. Some 11 years later, its reconstruction was started under the instructions of the Archbishop of Granada. The interior of the church has an original decoration with chairs made of chestnut wood and a fountain made of a piece of an old mill. 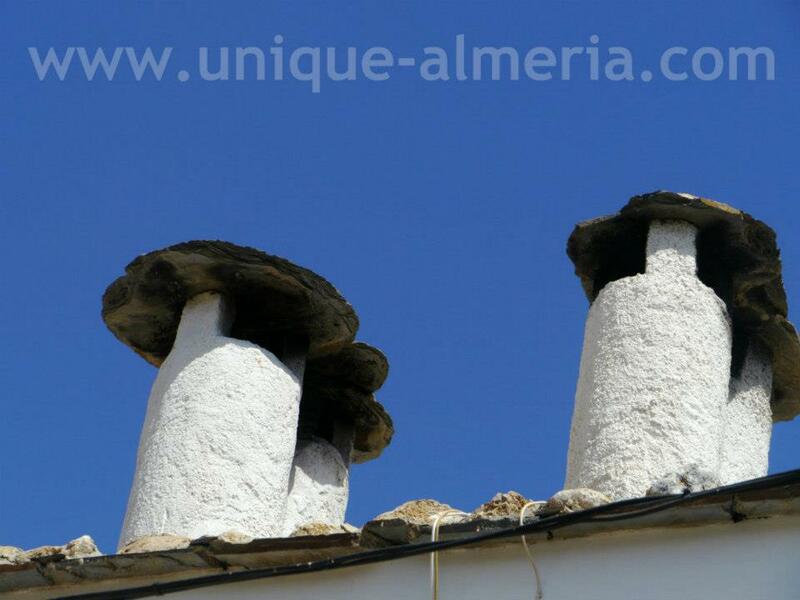 Apart from the church, there are no more relevant monuments to see, but if the heat allows you, stroll around the narrow village streets, between whitewashed houses where you may admire some typical Alpujarra architecture like the famous chimneys on top of the houses. I can never get enough of these small whitewashed hamlets, where it seems that time stood still. If its walls could talk, they would tell us about battles between moors and christians that happened along time ago. Some houses are still build with natural materials and thick walls. If you are coming here in summer, it will be difficult to imagine that winters can be very cold and that it even snows. The Andarax River, as it passes through this village, has created several beautiful spots and carcasses. The presence of water is ensured throughout the year and is being distributed through a drip irrigation system to the surrounding farms and agriculture. The restored public laundry room is one of the many areas of continuous water flow and despite being located in a province where water scarcity is a constant, here water is the protagonist. The beauty of this area has been gathered by chroniclers and travelers. Thus, the uniqueness and attractiveness of this environment was collected at the beginning of the century by Eladio Guzman, who claimed that the "Vega" is very good and above all has a special gift: it has plenty of water! 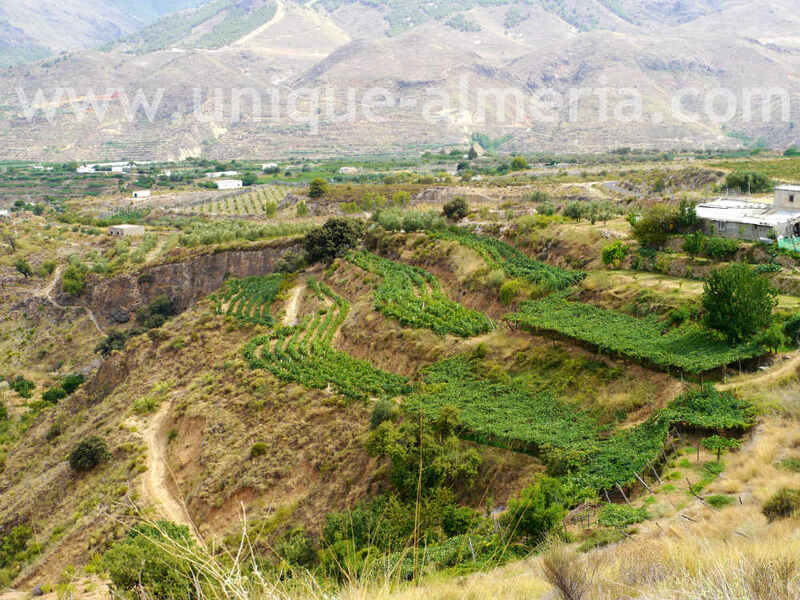 From the village you will have a wonderful view over the so-called "Vega de Abajo", a valley where grapes are grown, small but rich in sugar with the paleness of wax and immaculate transparency of glass. There is a pasodoble dedicated to the village that says: "Do not leave the village without knowing "Las Canales ...". Here the Andarax river has created a wonderful scenery. I dare to say that it is one of the most beautiful spots in the Mediterranean. It is the perfect spot for river hiking. We have not done it yet, apart from sneaking around a bit, but we have been told that you can hike until Laujar de Andarax. When we first came here, we weren't really prepared and found it hard to walk through the riverbed barefoot. We promised ourselves bring water shoes next time. So, even if your intention is to have a dip and cool off only, bring adequate shoe wear! 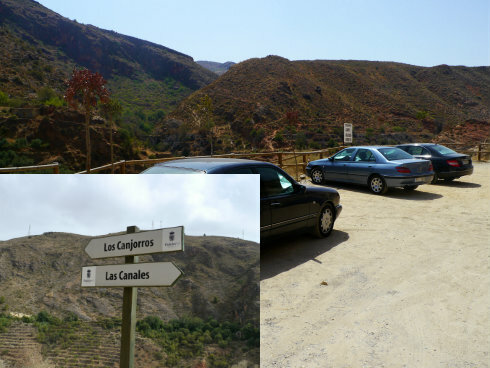 In order to get to "Las Canales", follow the signpost or ask a villager to indicate you the way to this natural open air river pool area. It is about 3 miles outside the village and if you like hiking, do not hesitate to go on foot. However, if you prefer, you can go by car on a bumpy road until you reach a car park. From there it is a short walk down the mountain. Also, it is a good idea to bring your picnic, food and drinks with you, since you are in the middle of nature, no shops, no bar, no restaurant... just you and the river! There are several small picnic areas on your way down to the river with beautiful views, or you may want to have your meal down by the riverside. 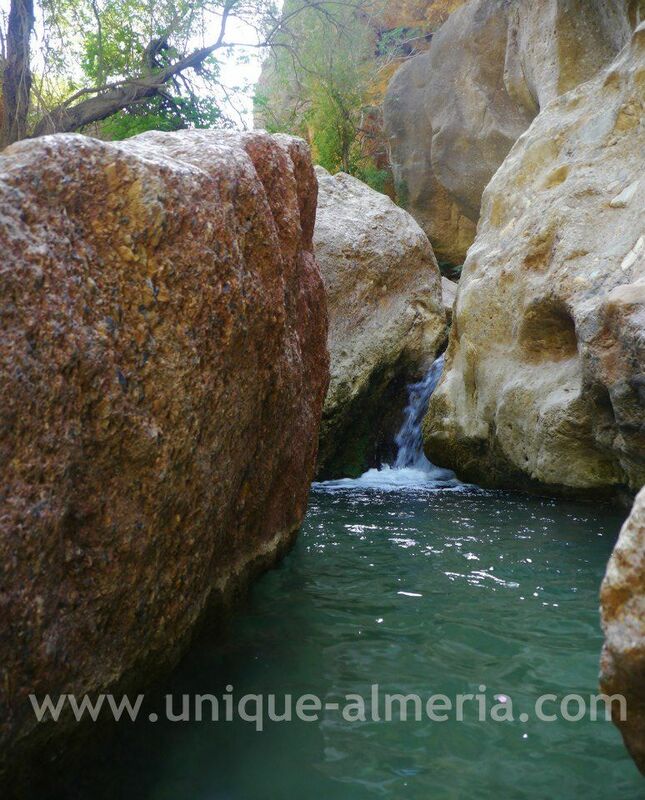 Enjoy the natural Spa, hike upstream or downstream, or just relax in the shadow of the huge rocks. Ok, lets say you forgot to bring food and drinks or you just do not like picnics. No problem! There are two restaurants in the village. We have tried both and our winner is the Restaurante Abad! We only found out later, that this establishment has a high reputation among locals througout the Province. You will even find it in almost all tourism guides! Our comment is simply: delicious! We had their 3 course daily menu at a fantastic price of 9 € ! Update 2013: This year, we were surprised to find a small eco-friendly "chiringuito" right next to the river, where we could get some snacks and drinks. The "Mojito" was delicious!